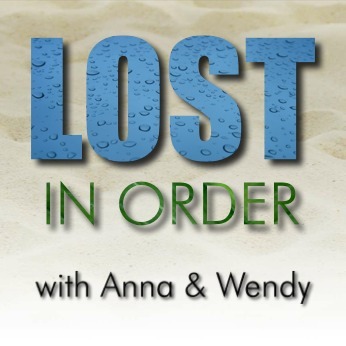 Anna and Wendy discuss episode 68 of Chronologically LOST, Episode 068 – December 11-12 2004 (day 81-82 on island), featuring a double burial decked out in bling, Kate and Juliet waking up handcuffed to each other in the jungle, and Sawyer making amends as a result of the lamest con in the history of cons. Podcast length 56 min. Anna and Wendy discuss episode 67 of Chronologically LOST, Episode 067 – December 10-11 2004 (day 80-81), featuring an attempt to reach Jack in the barracks, Locke and the sub, Ben and his promises and his magic box, Michael on the freighter, and Nikki discovering Paolo’s secret about finding the bag…and doing something about it. Podcast length 1 hr 22 min. Anna and Wendy discuss episode 66 of Chronologically LOST, Episode 066 – December 9-10 2004 (day 79-80), featuring a respite from Sawyer nicknames, iced tea with Mikhail, and Claire’s search for a messenger bird. Podcast length 1 hr 12 min. Anna and Wendy discuss episode 65 of Chronologically LOST, Episode 065 – December 6-9 2004 (day 76-79), featuring the discovery and recovery of a Dharma van, Kate organizing to go back for Jack, and the work, recruitment, and fish tacos of Miles Straume. Podcast length 1 hr 31 min.